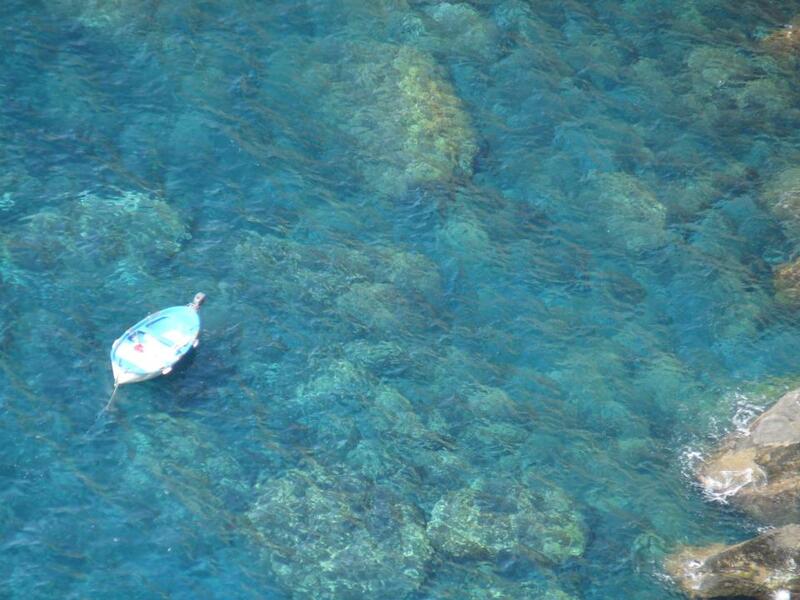 Italy, sullen, smelly and strikes!! | Hand Luggage. 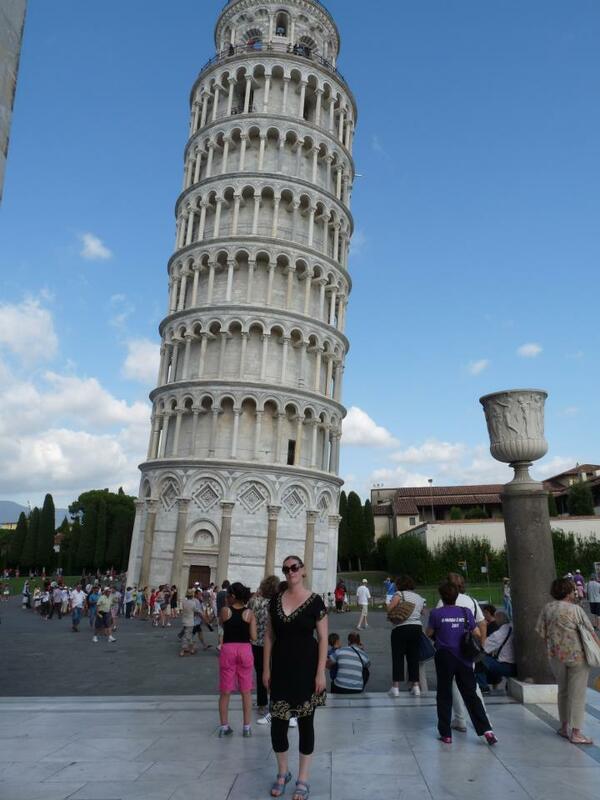 So finally arrived back from an (unintentionally) extended stay in Italy, thanks to Italian strike action and Ryanair being their usual shite selves, we were forced to stay an extra four nights. Costing us an extra £500 which we can ill afford, so cheers for that! 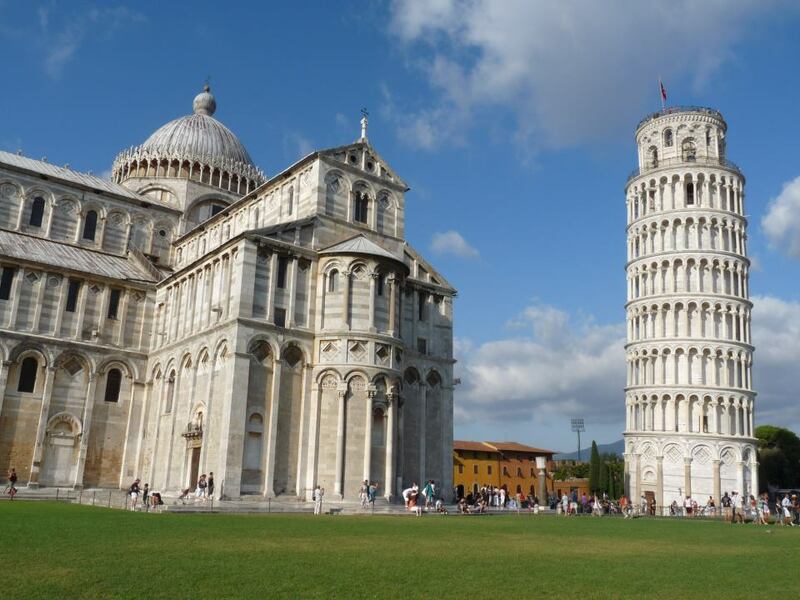 Now there are worse places to be stranded than Italy granted, but 1) it was Pisa, that you only need half a day in and we ended up with 6 nights and 2) It is bloody expense!!! We stayed at the Relais Dei Fiori a cute little hotel just a stones throw from the tower. No mossie nets though so spray the repellant at night!! 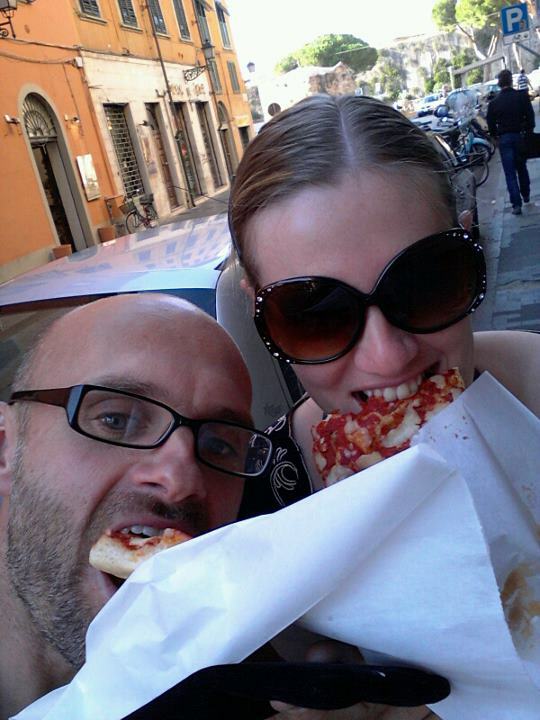 Here we are stuffing our faces as usual, from our favourite little fast food place close to the hotel. 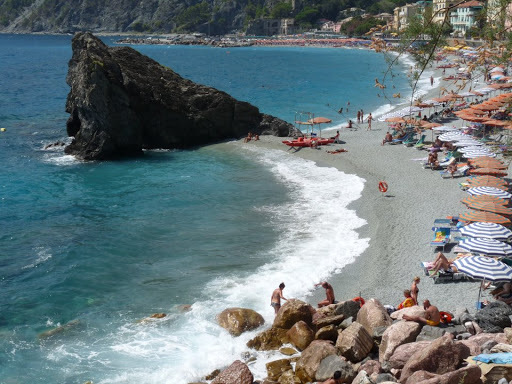 Then it was onto four nights in the Cinque Terre, which translates as Five Lands. 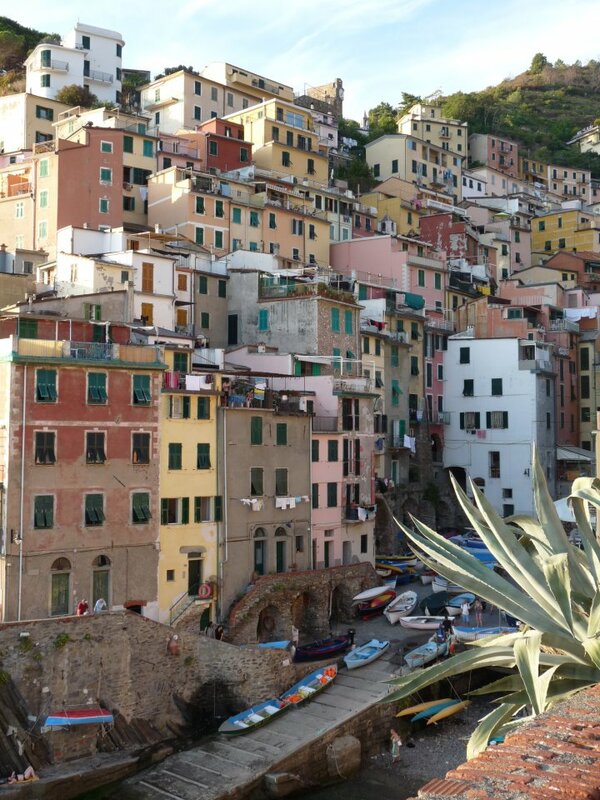 Staying in the pretty little village of Riomaggiore, the first of the five villages that cling to the side of the sea. 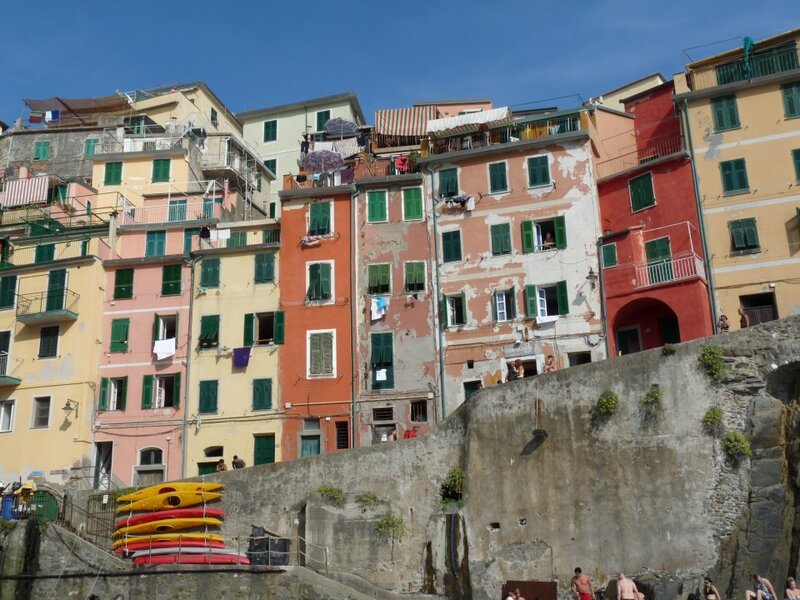 Riomaggiore is a tiny little village with a lovely harbour area and a larger stony beach. 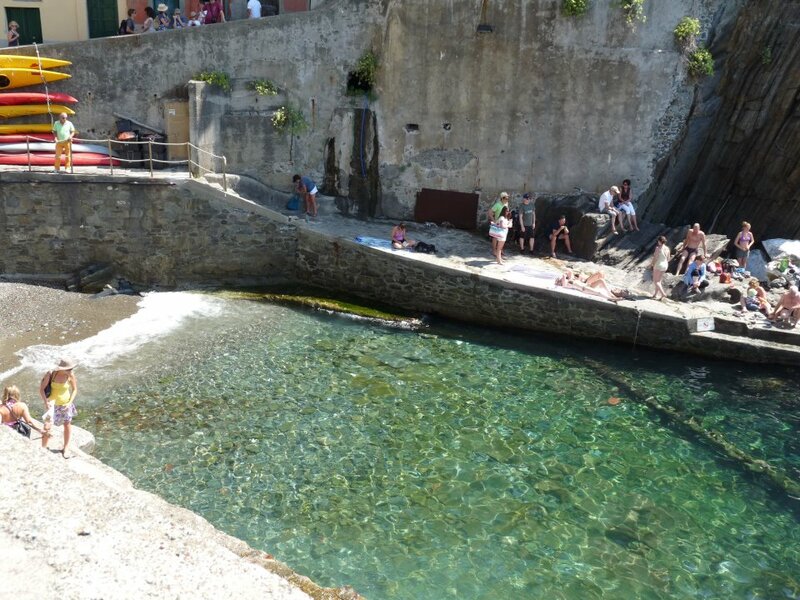 It has easy train links to the other four Cinque Terre villages and an easy flat walk (Vie D’Amour – Lovers Walk) to the next village of Manarola. 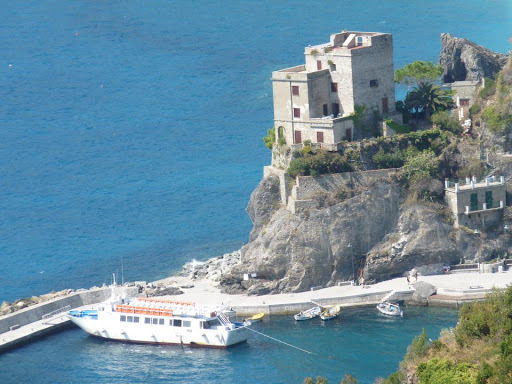 You do have to pay to walk the Cinque Terre now and a train and walk pass is 10 euros but it’s only valid for one day. 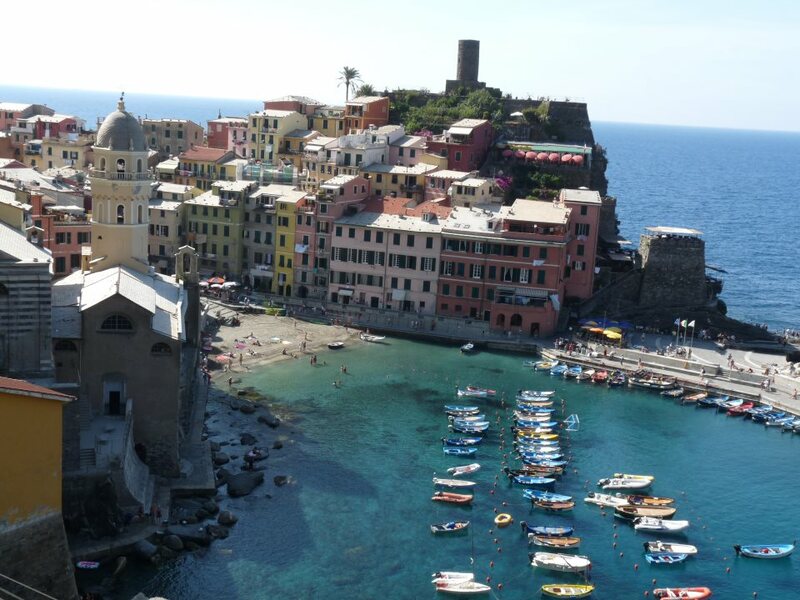 Here’s the azure habour at Vernazza before we started the epic hike . .
Here’s looking longingly back down after the near death panic attack . 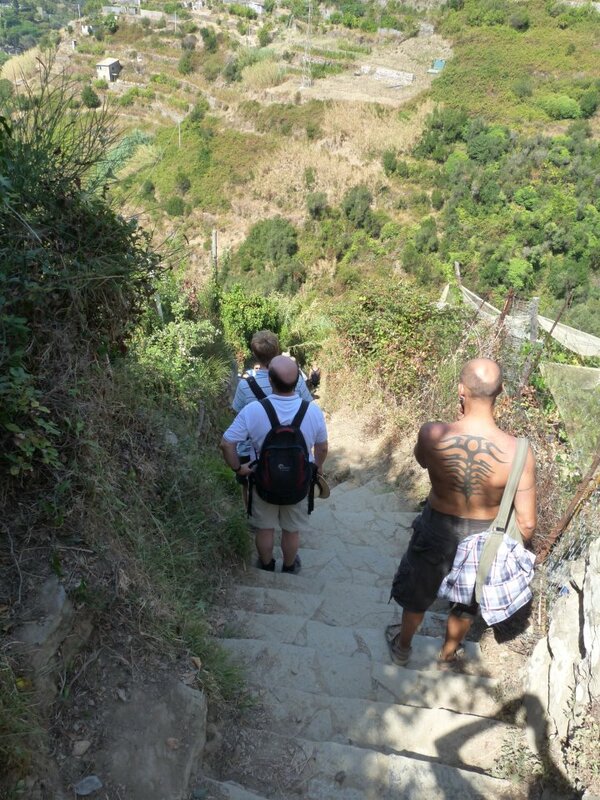 . .
Here’s a view from the hike and the steps past vineyards at the other end . 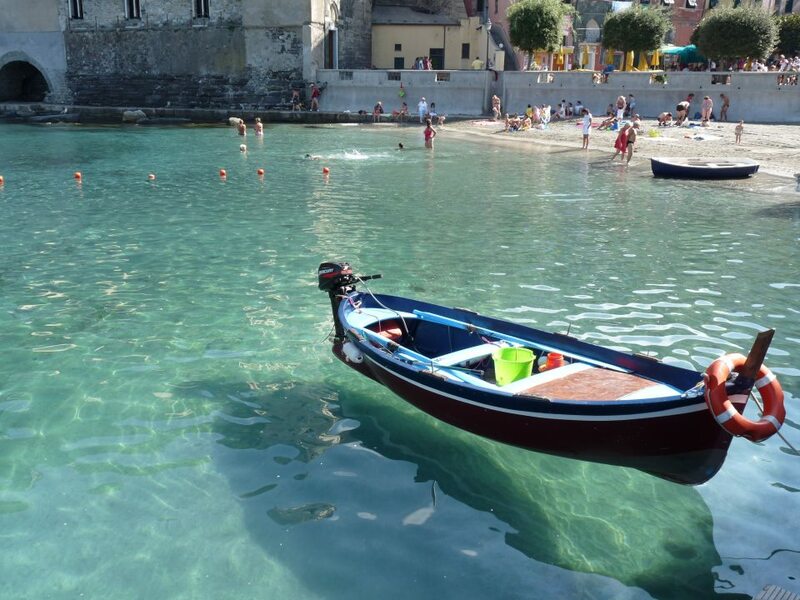 . .
And here is the end destination, Monterosso Al Mare!! Woo hoo! !